ABSOLUTE BEACHFRONT bach on the very best part of Paraparaumu Beach. Located on popular Manly Street, only one minute to Paraparumu Beach township, children's park and the famous Paraparumu Golf Club. Also only 45 minutes from Wellington. This bach is very sheltered and in an idyllic and very private setting, yet you can walk right from the lawn onto the beach. Uninterrrupted views of Paraparaumu Beach and front views of Paraparaumu Beach and Kapiti Island from the lounge, covered patio and master bedroom. The section is safe for children with large outdoor areas. The cottage is recently renovated, full modern kitchen, large fridge, satellite Freeview TV, superfast unlimited fibre wireless internet, CD and iPod player, laundry, modern shower, gas barbeque. Best of all are the beautiful views, relaxed situation and truly magical sunsets over the ocean. Comments have been "It was so peaceful", "What magical sunsets!" "The cleanest bach we have ever stayed in"
Feb - Dec: minimum stay 2 days, Christmas, Jan: minimum stay 5 days unless there is a gap, please ask! Great place to stay. Beach right off the back yard with local shops and restaurants a short stroll away. Will definitely come back at some stage. BBQ hadn’t been cleaned for a while. Other than that a very comfortable stay. Thanks for letting me know. The barbeque should be cleaned after each stay so I will make sure the cleaner addresses that. I am so glad you enjoyed your stay! The Bach is very clean and tidy. Books and toys provided for children. Nice and child friendly our toddler was very safe. 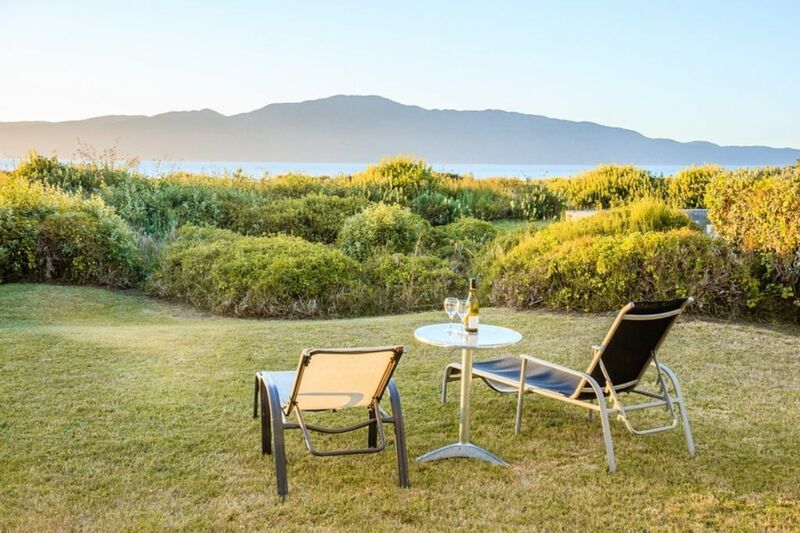 Lovely quiet setting and the beach is RIGHT there with fantastic views of Kapiti Island. Our host Donald communicated very clearly and was very helpful and hospitable. Very tidy and so handy and close to the beach. Thanks for letting us stay in your fantastic Bach, we really enjoyed it with our three little kids. Loved he fact that it’s so close to the beach and also the beautiful sunsets. I am so glad you enjoyed it! Come back any time. Great location of this old school bach. Delightful bach in a convenient location (to beach, family and shops). Looking forward to another stay here again.